There are a few things we liked about Piping Rock Ultimate Saffron Extract. First off, because the supplement is vegetarian, it is easy for anyone to take. 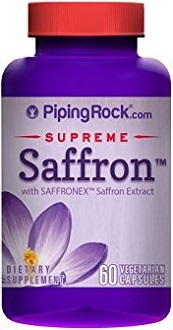 Today we review Piping Rock Ultimate Saffron Extract. With pure Crocus Sativus extract, this fast acting supplement helps with weight loss and weight support. These easy to take supplements will help you to reach your weight goals and keep them. 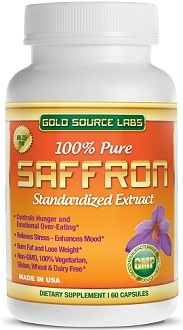 Each capsule contains 88.5 mg of saffron extract. These capsules are vegetarian friendly, as the only other ingredients listed are Vegetable Cellulose, Silica, and Vegetable Stearate. 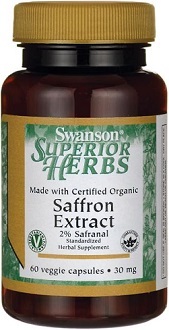 This amount of saffron in this supplement is much lower than we have seen in other saffron products. With a lower dosage, we are concerned about how well this product will work. This manufacturer recommends taking one capsule in the morning and another in the evening daily. Both supplements should be taken with meals. 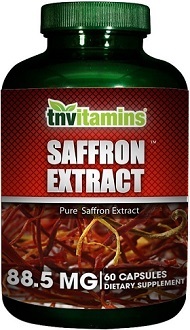 This still leads to a much lower daily dose of saffron extract than with most other saffron products on the market today. This raises concerns for us about this supplements overall effectiveness for weight loss. One 60-count bottle of this supplement typically costs $10.70, but right now there is a 50% off sale costing only $5.35 for a 30 month supply. The sale will only last for a few times, but could come again in the future. There is also a standard shipping cost of $3.95 on any order. While this is a very good price on the front, it also concerns us about what is truly inside the supplement. Saffron is one of the most expensive herbs in the world, and being able to sell its extract for so cheap makes us wonder about what is actually used for these supplements. This manufacturer has no guarantee of its products listed on its website. There is, however, a return policy. In order to return your product, should you be unsatisfied, the company will accept any unused product accompanied by a note stating why you were unsatisfied, within one year of purchase. They also state that in place of your return, the company will issue a refund or a credit, and does not specify the criteria in which to actually receive your money back. If you live internationally, this return policy is even stricter. International orders are only eligible for refund for 60 days, and they are only eligible for a refund of the purchase price, minus shipping fees and a 20% restocking fee. There are a few things we liked about Piping Rock Ultimate Saffron Extract. First off, because the supplement is vegetarian, it is easy for anyone to take. Also, the only main ingredient in this supplement is saffron. Unfortunately, there are many things we did not like about this product. 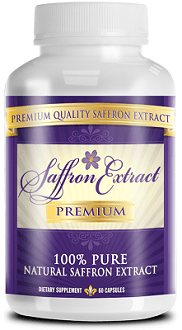 Reason number one is that there is not as much saffron in this supplement when compared to other supplements on the market. Next, while the low price may seem appealing, saffron is so expensive that this price actually raises concerns. Lastly, the company does not have a guarantee and their return policy states that they may offer a credit instead of a refund for your returned product. For these reasons, we cannot recommend Piping Rock Ultimate Saffron Extract.